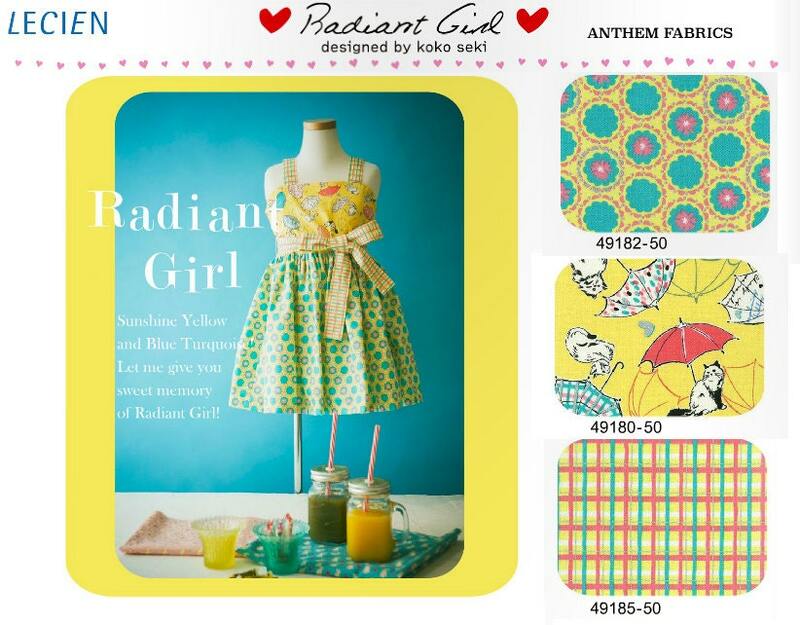 Radiant Girl collection by Lecien. 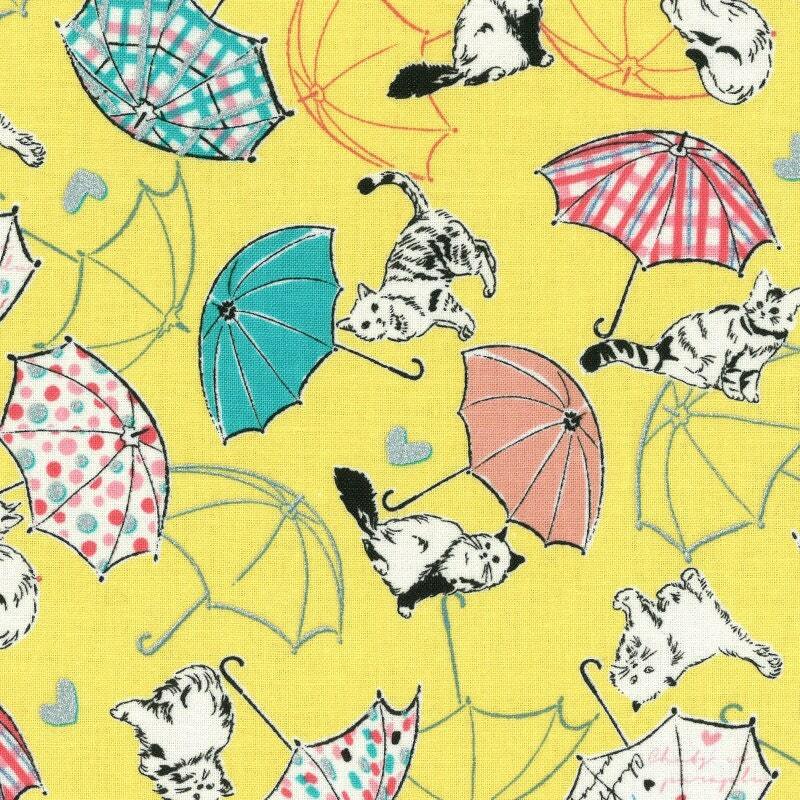 Sitting cats and colorful umbrellas. 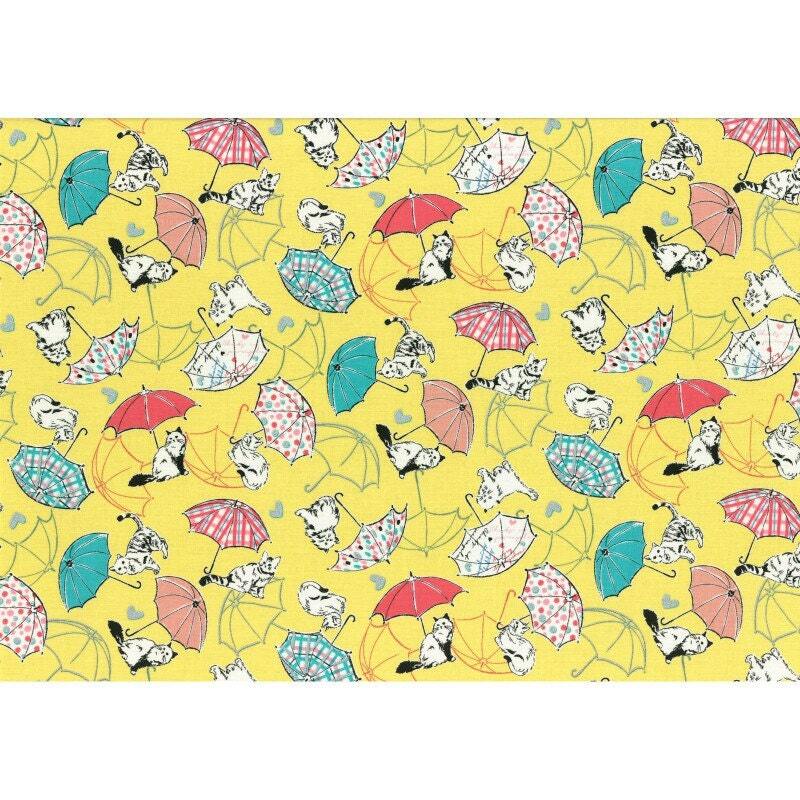 Umbrellas are approximately 2 inches wide. Please use the drop down menu and select a length. This fabric features metallic silver accents on the hearts and some of the linework with a shine similar to glitter.